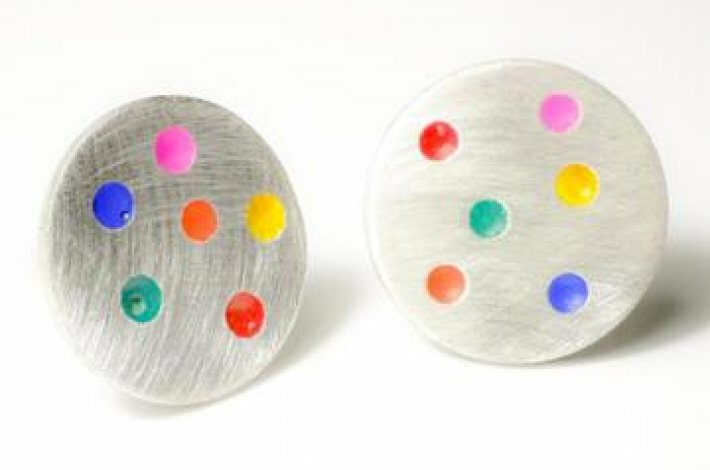 Sterling silver and enamel studs. Perfect for everyday wear, adding a splash of colour to any outfit. The earring measures 1.2cm diameter and is finished with a brushed texture.